On a recent trip Romania, I visited the beautiful city of Cluj-Napoca (commonly known as Cluj). Located in the northwestern part of the country, Cluj boasts some beautiful mountain scenery, traditional Romanian architecture, and a vibrant city with an exciting emerging foodie scene, including vegan food. 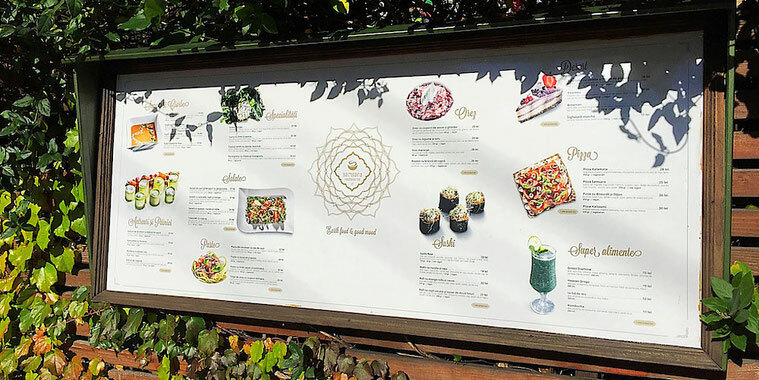 Where is the best place to find vegan food in Cluj? 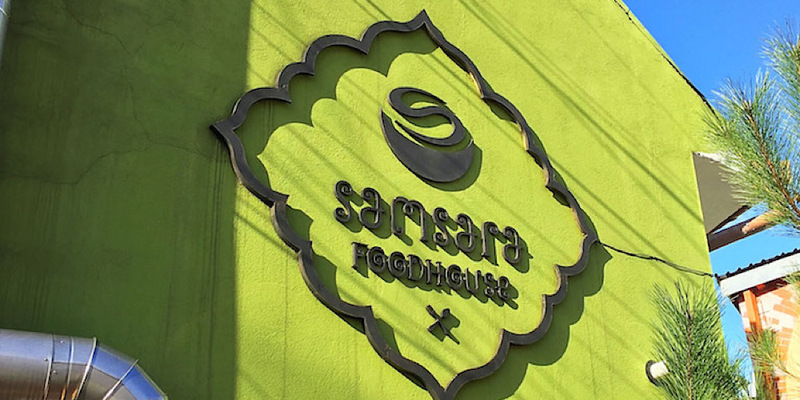 I found the nucleus of vegan eats at Samsara Foodhouse. I had fully expected to do my usual gastro tour all over the town but on my first day I discovered this place and then I literally ate their food every day afterwards. And here's why. Their menu is insane. When they first brought me the book (that's right, it's a book), I thought they were showing me their cookbook as most restaurants do. But no, it was the menu. This massive, awesome book was a giant menu of everything raw, vegan and vegetarian. I'm talking drinks like juices, smoothies, coffee, tea, wine and beers - and eats such as raw breads, artisanal cheeses, hummus, soups, salads, sandwiches, burritos, burgers, pizzas, lasagnas, pastas, curries, chilis, stir fries, sushi, and pages of desserts like cheesecakes to brownies to puddings to ice cream. Yeah. Insane. I ate so much (and got so much delivered) that I barely even remembered to snap pics of everything but here are some of my favorites that I did capture. This raw vegan almond cheese was the first thing I had my eyes on. 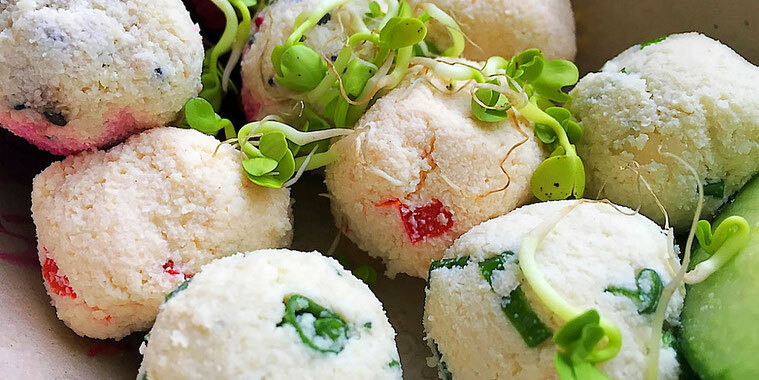 They cleverly made three flavors, all perfectly nutty and cheesy due to the almonds and nutritional yeast - one with a kick of green onion, one a bit spicier with red peppers, and one sweeter with red beets. All deliciously accompanied by fresh cucumber slices, beets and sprouts. 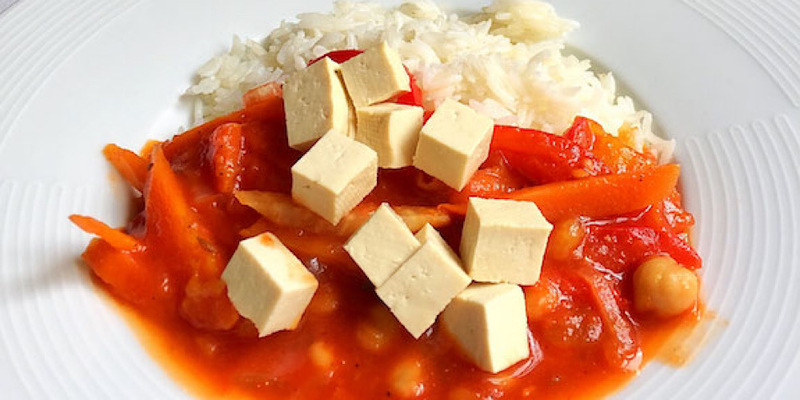 This mango and tofu chickpeas with rice dish was amazing. With fresh peppers, tomatoes and carrots, it was a blend of sweet, spicy and savory... and filling. I also got a green smoothie made with spirulina, bananas and apples. The purple super berries smoothie with blueberries, banana, and hemp seeds is also just as yummy. This raw vegan cake with kiwi and pineapple was incredible. 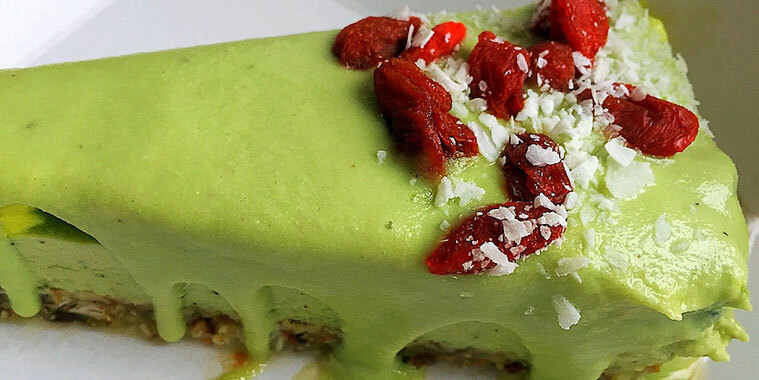 Spinach, almonds, cashews, coconut, dates and gogi berries made this slice a creamy delight. Plus look how pretty it is. 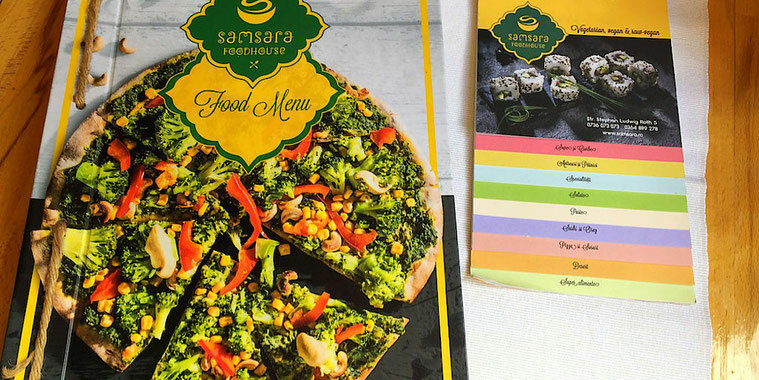 Visit Samsara Foodhouse at Stephan Ludwig Roth 5, or their Teahouse at Emil Racovita 27, or order anything you want for delivery! It's easy to order online, it even recommends foods according to what you view, the delivery fee is cheap, and the service is friendly. Win-win.